Me like Think Gum. 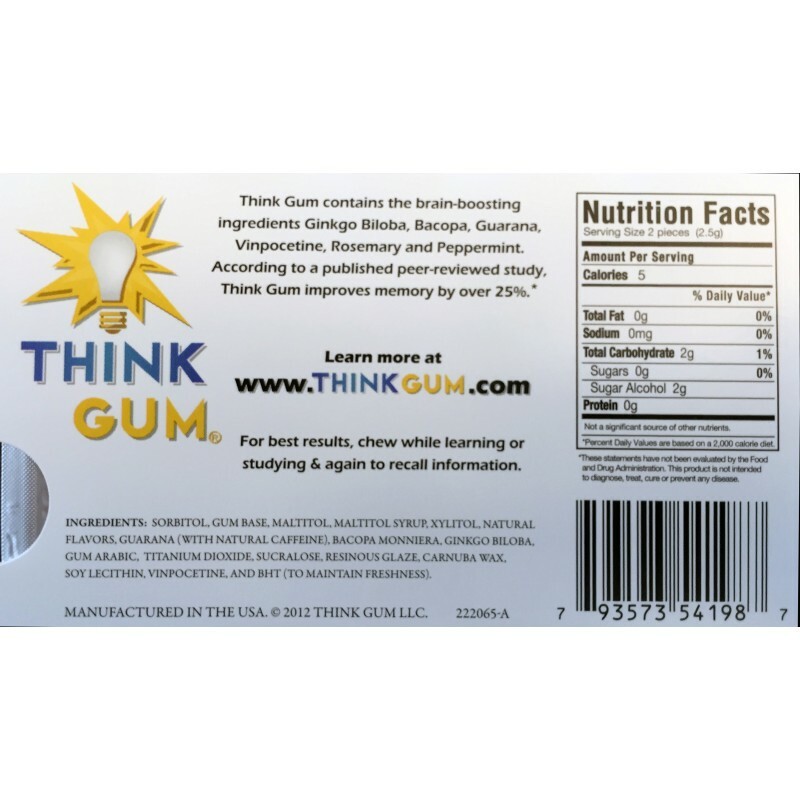 Think Gum good. Me chew some now. Wow! Me starting to feel smarter. 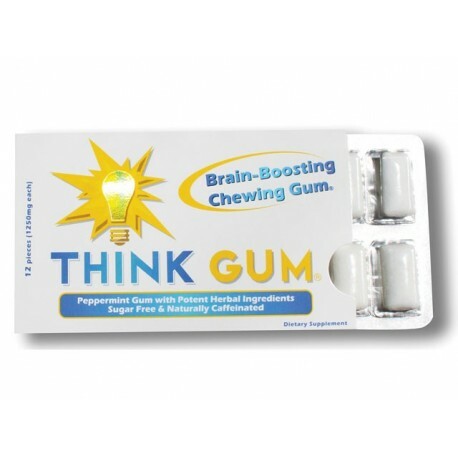 Not only does this gum taste good, but it is clearing my mind and ideas are starting to pour out of my mind now. The peppermint, rosemary, vinpocetine, bacopa, and ginkgo biloba are boosting my brain power by focusing my senses, boosting my memory retention, boosting blood flow to the brain, and protecting my brain from those horrible free-radicals. 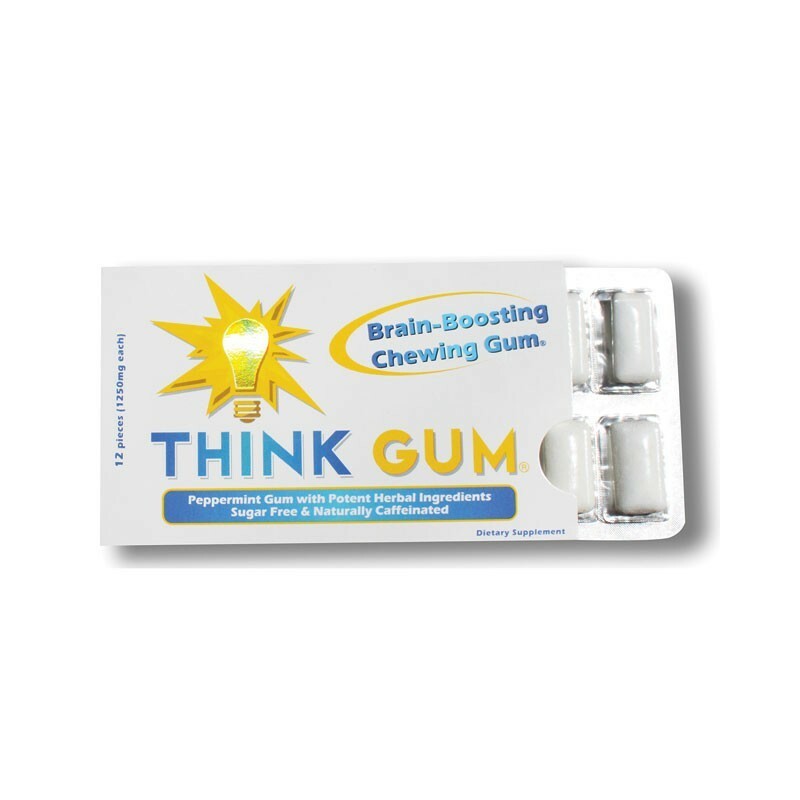 Then there's the guarana in Think Gum which provides 20mg of natural caffeine to stimulate the brain and provide a nice, even boost of energy for the rest of the body. Okay, but not great. Gum is mealy, and while I enjoyed the rosemary peppermint favors, the flavors aren't very strong and they fade quickly. I felt it was expensive too. Remember the therapeutic aspects: Gingko and so much else. This gum is almost pharmaceutical in its composition. YES, it works, and not just because someone chews it for a few minutes before a test. It\'s a formula that works!!! Just don\'t think it works in five minutes. It helps to have a clear stomach (as in fasting)... but very nutritious ingredients. I daresay that even people with brain set-backs could benefit. BUY ! Gets your brain working at its peek but not very appealing. My friend assures me they taste just like nicotine gum. I like to chew one or two before I have an exam.